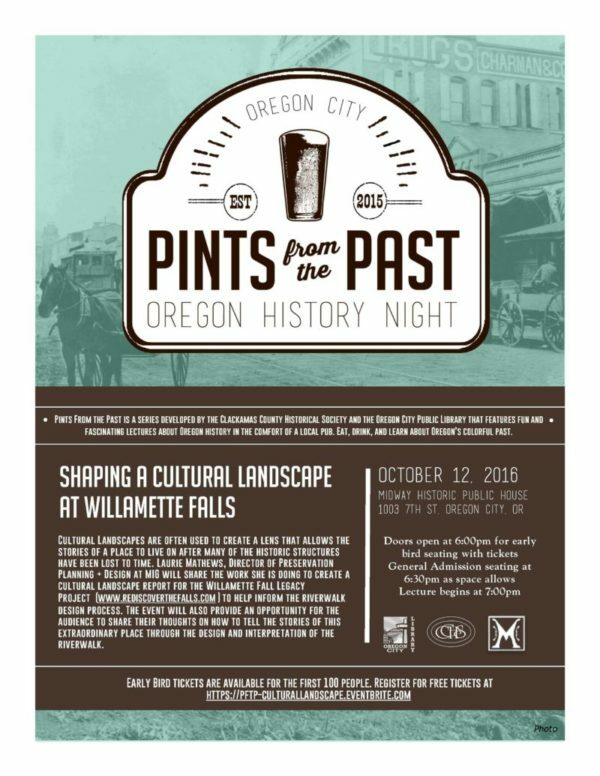 UPDATES: Early bird tickets have all been reserved for the October 12 event, but general admission seating (as space allows) will begin at 6:30 p.m. at the Midway Historic Public House in Oregon City. We again are overwhelmed by the excitement people have for this project. We are planning to host an encore event shortly and will post details when they are confirmed. The presentation is being recorded by Willamette Falls Media Center and will be available on our website 1-2 weeks from the event.